SAP ERP is a very common name in today’s life. But SAP and ERP is not the same thing. There is a slight difference between SAP and ERP. 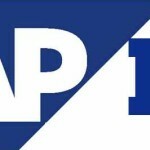 SAP is the abbreviation for Systems, Applications and Products. 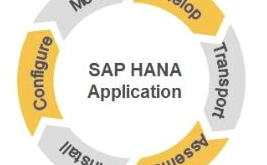 SAP is software that provides users with a soft real-time business application. SAP contains an extremely flexible user interface. ERP stands for Enterprise Resource Planning. It is business management software which permits a company to use a system of integrated applications to manage business. ERP software integrates all features of a process, including product planning, development, manufacturing processes, marketing and sales. So, SAP is ERP. But, ERP is not SAP. Generally, we can say that SAP is a part of ERP. In ERP various tools/software are used. SAP is one of them. 1. Functionality – The SAP ERP system offers software solutions that protect all of the commercial processes and transactions used in a company. 2. Flexible structure – It provides a ﬂexible system structure. 3. User friendliness – The SAP ERP system provides a uniform graphical user interface for all application regions. 4. Real-time integration & Enterprise wide integration – The SAP ERP system gives all info related to real-time integration required by the operator. It fulfills the demand for continuous changes in organizations. 5. Three-tiered Architecture – SAP ERP has three-tiered architecture. It includes application, presentation and database interfaces. 6. Concurrent Engineering – SAP ERP supports concurrent engineering. 7. 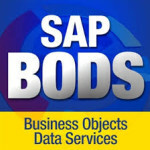 Desktop Integration – It includes exporting data to the desktop by using the export utility provided by SAP. 8. Individual Solutions – SAP ERP system offers system-controlled customizing procedures. Using this it fulfill individual requirements.